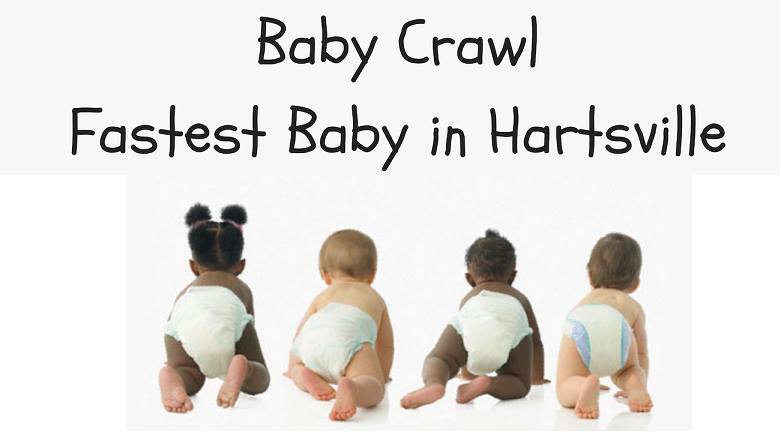 The Parks and Recreation Department will be hosting a Baby Crawl Competition at TB Thomas Sports Center, 701 West Washington Street, on February 23, 2019 at 11:00 a.m. This competition will benefit Darlington County First Steps to fill their immediate need of diapers for families. The competition is open to babies that cannot yet walk and they will be divided into two heats: 5-9 months and 10-13 months. The entry fee for the competition is one pack of diapers to donate to Darlington County First Steps. The Parks and Recreation Department will also be accepting donations of diapers from the public until February 23rd. The public is invited and welcome to attend as we crown the Fastest Baby in Hartsville during half time of the youth basketball game. The winner of the competition will receive an assortment of prizes including a certificate, gifts cards, and baby gear. For more information and to enter a crawler, please visit our Facebook event.